Dimensions 0.75 by 7.50 by 9.50 in. Amazon.com description: Product Description: Students often struggle with conceptualizing the most appropriate research design, before they begin collecting data and answering their research question. 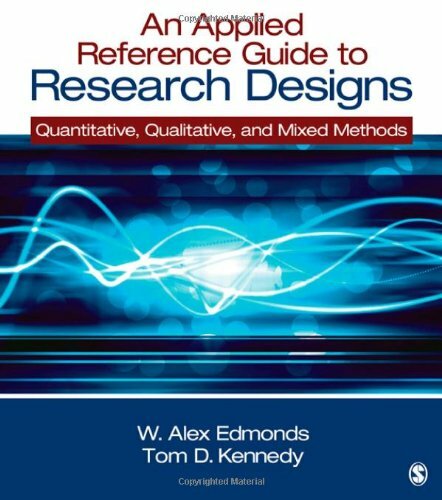 This book presents quantitative, qualitative, and mixed methods research designs in education and the social and behavioral sciences using consistent terminology, and in a way that students can understand and apply in their own investigations. The book helps students conceptualize, construct, test, problem solve, and acquire knowledge, through a wealth of visual aids and real-world examples. It is an ideal text for coursework and also a reference in the field. About: Students often struggle with conceptualizing the most appropriate research design, before they begin collecting data and answering their research question.